Heathrow Rewards is the loyalty programme that rewards you for almost everything you do at Heathrow. From eating to shopping, collect Heathrow Rewards points and convert them to Royal Skies Miles to take you on your next adventure. With Heathrow Rewards points easily accumulated, you can convert 250 points to 250 Royal Skies Miles. Royal Skies Elite members will be eligible for Heathrow Reward Premium membership status when you sign up and earn double points when you shop at Heathrow. 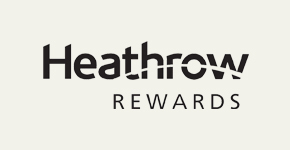 For more information, please visit Heathrow Rewards.